The Black Panther is a king, a warrior, and a superhero — but he’s not always alone, like he was in Captain America: Civil War. In fact, he’s not even always a “he.” And in the upcoming Black Panther film, T’Challa might not be the only Wakandan fighter in an adamantium-infused, jet-black jumpsuit. Chadwick Boseman recently hinted that the upcoming Black Panther film might feature multiple Panthers. While that tease remains unconfirmed by Marvel, the comics have a long history of multiple Black Panthers, and the prospect of seeing these characters onscreen sounds pretty badass. There are a couple ways this could work, informed by comics lore, and all of those ways would be fun. Boseman explained how the film will tackle Black Panther’s origin story. “You’re going to learn about Wakanda, its culture, its traditions, the past. … You can go through all the comic books and know that there’s more Panthers that have existed in the past — that’s origin.” The thing is, it’s unclear from Boseman’s words whether multiple Black Panthers will be featured as part of the superhero’s history as a legacy character, or if more than one character will attempt to become Black Panther in the film. The Black Panther mantle is actually a ceremonial title handed down from ruler to ruler in Wakanda. T’Challa inherited the title from his father after he was assassinated in Captain America: Civil War. The solo Black Panther film could explore the costume’s historical legacy, flashing back to all the previous Black Panthers as they’ve defended Wakanda from enemies. However, even more exciting could be a fight for the Black Panther identity. It was recently revealed that the team behind Black Panther is using Ta-Nehisi Coates’s acclaimed comic book as an inspiration. In Coates’s book a fight breaks out over T’Challa’s right to rule Wakanda. The book revealed that T’Challa’s half-sister Shuri is alive. Shuri once donned the identity of Black Panther after her half-brother was defeated and unable to wear the costume anymore. As an heir to Wakanda, Shuri has long aspired to be Black Panther, only to be passed over for her half-brother T’Challa. While the two aren’t enemies, Shuri is an ambitious character who protected Wakanda as Black Panther in her own comic series. 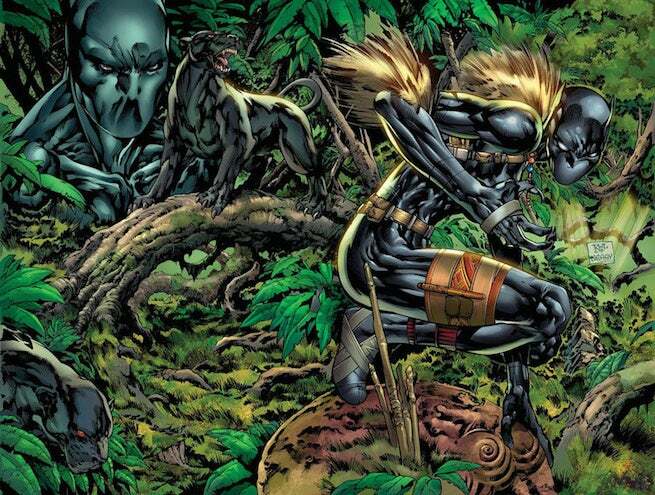 While the role of Shuri hasn’t been cast in the film, there’s a good chance she might make an appearance, and if so, become a contender for the Black Panther title like in the comics. It’s certainly a possibility if there ends up being a power struggle in Wakanda after the death of T’Challa’s father. If the film adopts the political tone of Coates’s book, then a fight for the throne — and a fight for the Black Panther status along with it — could be a perfectly viable story for the film.